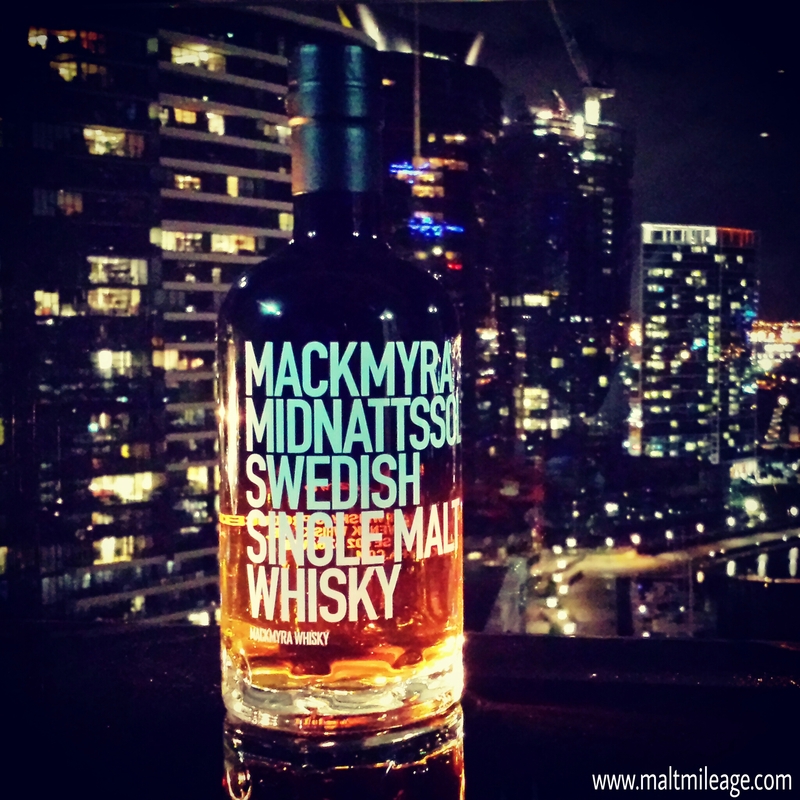 Mackmyra Midnattssol is a limited edition Swedish whisky that has been crafted, its makers say, for bright summer nights. It is matured in sherry casks, bourbon casks and casks made from Swedish and American oak, but the ingenuity of this whisky comes from the fact that it is finished in casks that previously held wine made from birch sap. Yes, birch sap. As winter draws closer to spring, deciduous trees that have stored sugar in their roots begin to move sugar upwards in their sap. The maple and birch are two trees that produce an edible sap in plentiful supply, so when these trees begin brimming with sap as winter warms people extract that sap and do many wonderful things with it. One of those things is to produce wine, with some help from some good natured yeast which converts all that lovely sugar into even more lovely alcohol. Mackmyra had the idea to finish its whisky in casks that have held birch sap wine to infuse its whisky with the distinctive flavours and aromas of that birch sap wine. Sounds good to me! The nose presents with a sappy sweetness that radiates vanilla ice cream, varnished wood, raw cedar, sawdust, blueberries and blackberries, banana, anise seed, licorice, dark chocolate, mild coconut, raisins and English style pot still rum with undertones of raw sugar, spice and petals. On the palate the whisky is less sweet and fruity than the nose suggests, immediately thumping the taste buds with a woody textured bitter citrus rind that gradually dries into the mid-palate when sawdust, spice, dark chocolate coated licorice and mild undertones of vanilla develop with a herbal cough drop glow and honey drizzled over forest berries. The sappy note detected on the nose returns in the finish but loses its sweetness to a woody and astringent dryness that is counterbalanced by the creamy aftertaste of a Sambuca spiked espresso affogato, the sweet bitterness of lime wedges in chinotto and the curious faint shine of menthol similar to the vapour of tiger balm. Overall, Mackmyra Midnattssol is a creative whisky that harmoniously fuses an array of flavours that are difficult to find in most other whiskies on the market, thanks in part to the fact that the Midnattssol has been matured in Swedish oak and finished in casks that previously held birch sap wine – find the most curious fusion of fruit, citrus, sap and herbal notes with the more familiar vanillas from American oak to smooth it all out. This is a complex and interesting whisky with lots of depth to explore within its layers of integrated and balanced flavours. If you do decide to have a rendezvous with this whisky make sure you cancel your plans, this Swedish beauty deserves your undivided attention. This entry was posted in Swedish whisky and tagged birch, sap, sweden, whisky, wine. Bookmark the permalink.